I’ve attended my share of cooking classes, and I’ve got to say, they tend to be more chaotic than instructional. Enjoyable, but bit out of control. It’s always amazing that a meal actually results from all of the indecision and hand wringing. 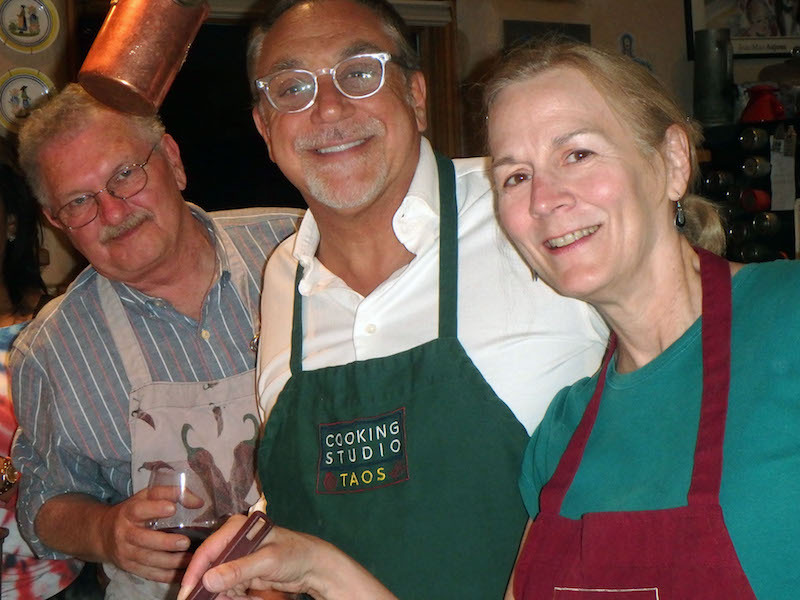 Chris Maher (center), chef of Cooking Studio Taos, takes the time to get to know his student cooks. Having multiple volunteer crews chopping vegetables at a dinner party is one thing, but following directions seems too much to ask of the kitchen wannabes. But maybe the students enjoy displaying their culinary ineptitude. For me, it’s more frustrating than fun. I’d much rather spend the time in cooking classes talking with the chef and watching the magic happen. When a chef actually shows how and why he or she prepares a sauce for example, the cooking class elevates to fascinating. It’s not as bad as it looks. Maher keeps a sense of humor, and control, as the novices cook the meal. Chris Maher has a long history as an actor and also a chef. 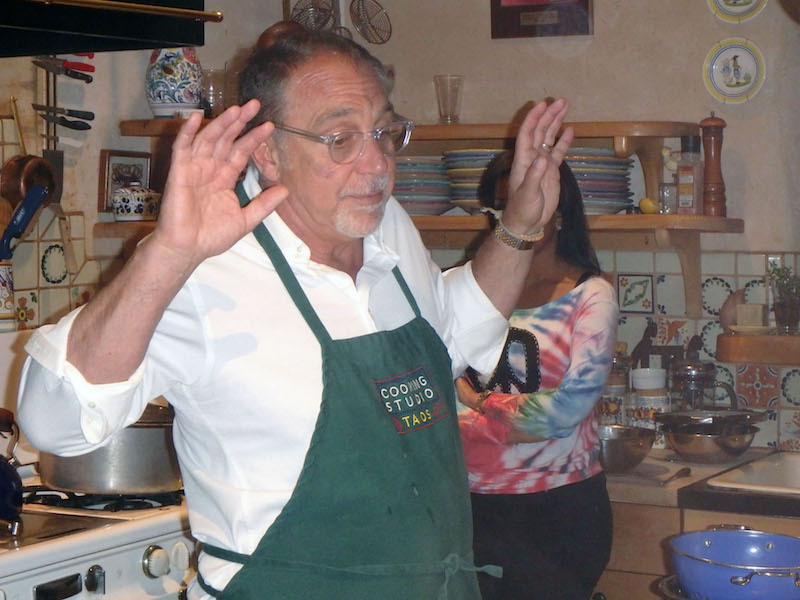 He also runs the Cooking Studio Taos with his wife, Valerie. One of his basic recommendations is to always use sea salt or at the very least kosher salt. Iodized salt affects the flavor of any dish. Maher’s classes are instructional, fun, and in the end, delicious when we all sat down to the meal we helped prepare. 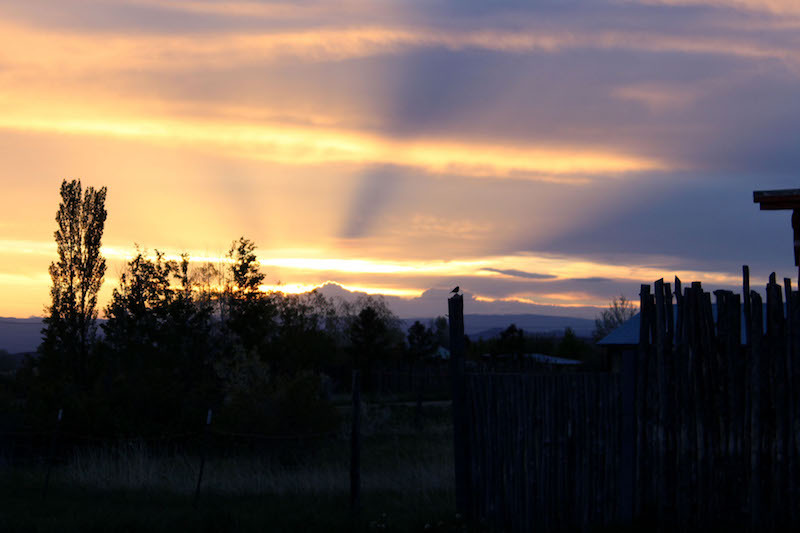 For more information, go to www.cookingstudiotaos.com. Gerald E. McLeod has been traveling around Texas and beyond for his “Day Trips” column for the past 24 years. Keep up to date with his journeys on his archive page. Day Trips, Vol. 2, a book of “Day Trips,” is available for $8.95, plus $3.05 for shipping, handling, and tax. Mail to: Day Trips, PO Box 40312, South Austin, TX 78704.